How could I keep a talent hidden when I’m such an exhibitionist? Maybe this is why I can calm any small distressed child as soon as I engage them! Mr Twit and his wife are utterly disgusting but also thoroughly entertaining. Difficult, difficult, difficult, difficult – is that five? I would ask Roald Dahl if I could sit silently beside him as he wrote so I could work out how he created books loved by children all over the world. I could live without writing, but I could never live without reading. 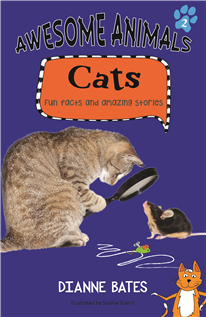 Di Bates is an Australian author and freelance writer who has written more than 120 children's books. Her recent books include A Game of Keeps, The Girl in the Basement, and Nobody's Boy. Di is also the editor of children's publishing industry e-zine Buzzwords Magazine. 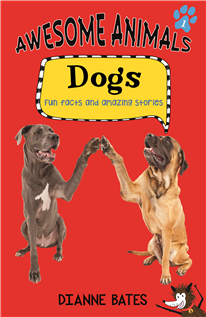 Her latest books are the first two titles in a series by Big Sky Publishing, Awesome Animals:Dogs and Awesome Animals: Cats. Visit Di's website, Enterprising Words, to find out more about books and writing projects.